This unflavored e-juice is a Vapor Vapes favorite. The pure blend USP grade Kosher Propylene Glycol (PG) and Vegetable Glycerin (VG) provides a smooth, clean and premium vaping experience you can enjoy on its own. 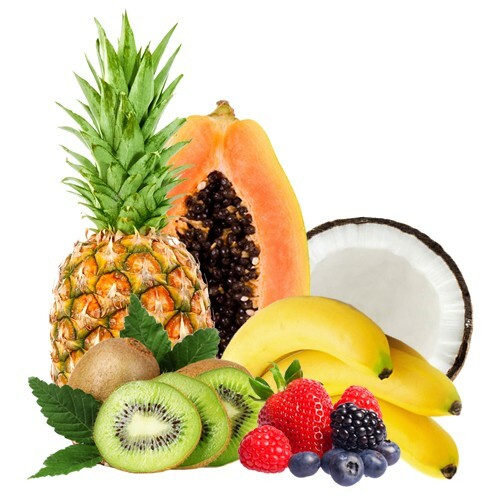 Alternatively, our Flavorless E-Juice can be used to dilute strong flavors, cut nicotine strengths and is great for extending the lifespan of coils. This is a must-have in any vaper’s kit. If you’re looking for something simple, no fragrance and no noticeable aftertaste, you can’t go wrong with our famed Flavorless E-Juice. 8 Nicotine strengths ranging from 0mg (nicotine free) to a milder 3mg or 6mg or the stronger 12mg, 18mg, 24mg, 30mg or 36mg options. If you require further customization, simply add a note to your order at checkout or contact us for assistance. Pros: Smooth all day vape. Wicks and coils last forever! Pros: As the name implies. Only a little sweet my nose sensitive room mate cant detect it. Pros: Amazing quality. Been using it for over a year now and the quality is always on point. Thanks Sean! Final Thoughts: A1 5* product! Pros: Fantastic! Great products and great customer response. So pleased with this company and their terrific employees! Final Thoughts: Great product, service and fast shipping with awesome customer support! Cons: None that I have. Final Thoughts: Definitely works for my needs and has a great price point compared with many of the other flavored liquids. Pros: I have a scent allergy making the flavored juices unusable for me. The flavorless is great! No problems for me! Now on to kick a 40+ year smoking habit! Final Thoughts: Quick shipping. Very happy customer! Pros: Well priced, timely delivery, works exactly as described. Final Thoughts: Perfectly lives up to its description. I use it in my suorin drop for successful stealth vaping. I also use it to cut my flavored juice in my sub ohm tank, it really extends the life of my coils. Going to order a bigger bottle right now. Pros: You name it, great product with no issues. Pros: Great product, as advertised. This is the only unflavored juice I will buy from now on. Final Thoughts: Thanks for the great juice! Future long time customer! Pros: Perfect! Very nice bottles and droppers. Fast shipping. Pros: This stuff is great. I wanted flavorless because that means it's virtually odorless, too. This stuff delivers. Cons: No cons to speak of. Final Thoughts: The wonderful people at Vapor Vapes were marvelous to communicate with when I was reacting adversely to the PG/VG ratio. I couldn't believe how kindly they treated me regarding my issue, and how informative they were. That alone sealed the deal that Vapor Vapes will be my go-to. Final Thoughts: I love this stuff. I add some peppermint oil to it and that's all I need. Super affordable, and a great quality juice! Pros: Exactly what I ordered arrived on time. Perfect. Thank you. Pros: this is the bees knees. This is mans greatest gift to man. i buy a bottle every 2 months. Final Thoughts: Price is great the quality of production of the juice is great the shipping is great and the company is great. Pros: Great Product. Will be ordering again! Pros: Exactly what I needed. Has a sweet taste. Makes your coils last longer. My girlfriend doesn't like the smell from other flavors so this doesnt bother her one bit. Pros: If you don't like or are not in the mood for a flavored juice this product is a great alternative . I like the fact that you can custom select both nicotine level and the PG/VG mix. I myself prefer a heavy max vapor hit so I use the 25/75 mix with a medium nicotine level. 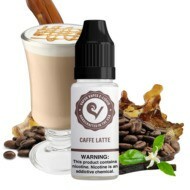 I find the vapor to be extremely smooth and do not detect any sort of after taste what-so-ever. The liquid is always well blended and consistently matches my specifications. I always purchase the 500 ML bottle size which is a great deal for the money. .I live on the east coast so I like the fact that I am able to order such a large size bottle, because it saves me on shipping charges. I was also able to quit smoking cigarettes entirely because of this product. Final Thoughts: Overall I gave it a 5 star rating because it is a great product all around. 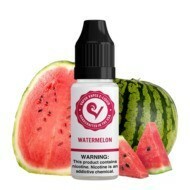 I was looking for an alternative to the flavored juices and I am glad that I found this product at Vapor Vapes. I was able to completely stop smoking cigarettes because of this liquid !!!!! Pros: this is way better than i expected currently i ordered 70/30 VG PG and it works great on both 0.15 ohm mod and 1.5ohm minifit pods mod . i guess no flavor really does good things to the coils . its hard to say its flavoerless but at the end slight feeling of condensed milk a little sweet touch at the end which is great i love it thanks from gangnam. Thank you for the positive feedback! All of our e-liquids can last up to 24 months if stored correctly, however we recommend using within a year. See How long will my e-juice last? for more info. Final Thoughts: Great stuff if you don't like flavors like me. A 500ml bottle lasts me like 4-5 months. Pros: The absolute best flavorless juice I've used. Shipping time was reasonably quick. 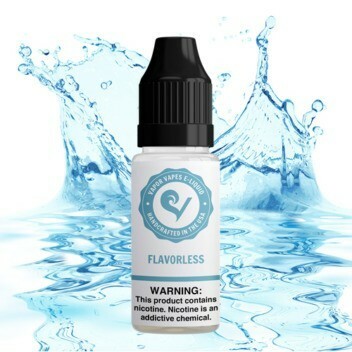 Final Thoughts: If you're looking for a flavorless juice, you won't be disappointed with vapor vapes version.. Final Thoughts: If you are going to smoke flavourless or want to dilute flavors/Clear vape toung this is the stuff. Epic price as well. I vaped a while year on $44 Liter of the stuff. Thank you for the feedback Austin. It is always appreciated. We're really happy to hear you are enjoying our Flavorless e-juice. Final Thoughts: I love flavorless e-juice, it saves me soooo much money on juice and coils thank you so much for this product! Pros: hi all, have received my order, thank you so much, cheers for now. Pros: It is exactly what I wanted and is a very good product. And at a MUCH better price than I'm used to from others! Shipping is alway quick too. Final Thoughts: I continue to order these products because they are consistently great and satisfying. Outstanding quality and prices as well. Bravo!!!!! Pros: Love it! Perfect to add your own flavor to at your own pace. Great for the indecisive! Cons: The bottle tip is a little leaky but with precise timing doesn't waste an unbearable amount. Final Thoughts: Great stuff man. Pros: It's Great. Coils last forever. Great for cutting flavored juices so they last longer. Cons: None. Other than it's not local. But that's not a product issue. Final Thoughts: Love it. Will but again and again. Pros: Exactly what I was looking for..doesn’t smell like anything! Pros: Does not choke me when my husband vapes. I do not know what the deal is with all "candy" flavors elsewhere. Pros: I've been using flavorless juice for a few years and needed another supplier. Found Vapor Vapes. Flavorless juice is hard to find and retailers look at you strange if you ask for it. Vapor Vapes flavorless is clear and because of no added flavor, coils last a long time. Pros: Customizable size, nicotine level, pg:vg ratio, good quality bottles with an easy-to-poor cap attachments. Final Thoughts: The best. 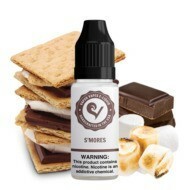 Totally customizable, it's the best option I've found out there for flavorless base, definitely a must-have for vapers. Final Thoughts: Will order again ! Pros: Simple, cheap, & tastes great! Cons: Trying to fill a 30ml bottle from the 1000ml. Final Thoughts: I've been using this for about 3 years, and will not change. For some reason I never developed a taste for ANY of the flavors, plus everything else makes my ears get hot, or some other weird side effect. Thanks for keeping it simple and cheap. Pros: Very nice juice, lasted me 6 months. That's a deal. Pros: Slightly sweet flavor, tremendous value - especially when you purchase the 1000 mL with a small 100 mL. That way you get free shipping! Cons: I ordered a VG/PG mixture and realized afterwards that I'm allergic to PG. Other than that, this was a terrific product. I read ordered with just a VG only base. Pros: -High quality -No spicy nic -Keeps coils fresh, lasting longer. -Good base for mixdown with additive flavor juices. Pros: Love the flavorless juice! Super speedy shipping! Pros: great price . i use it with any other flavor. Pros: Very smooth at 50/50. No peppery aftertaste like others. This is clear in color and has no scent whatsoever.I might try different combinations. Final Thoughts: This is the best flavorless E-juice money can buy. I've consistently bought this for the last two years. 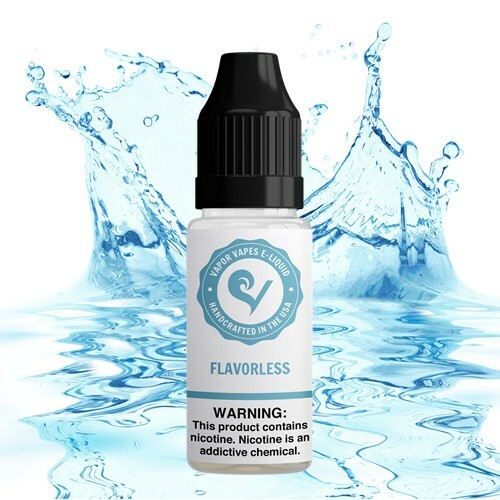 I prefer flavorless vape juice for a number of reasons, and I have never been disappointed with Vapor Vapes products or customer service. Final Thoughts: Awesome but absolutely awful shipping costs. Cons: Delivered by DHL, delivery message of 'leave with concierge' was either not attached to the package or DHL are just a little but rubbish. Cons: The bottle is hard to pour into a smaller more easily useable bottle, it could use a small pour spout. Pros: This stuff is what I am talking about and what I have been looking for. Flavored juices eat through cartomizers like nobody's business, and I generally never like the flavors anyway. This has a really light sweetness that is perfect, and my cartomizers, which lasted only 2-3 days the years I used flavored juices, now last a couple of unbelievable weeks. I use V2 batteries and carts. Also, this is WAY cheaper than the flavored juices I have been using. Saving money across the board, and I couldn't be happier. I now only vape this straight, and I don't have to deal with sticky, stinky flavors. This will be my go-to for a long time. Cons: There are no cons. You can get exactly what you want. PG/No PG or 50/50 (which I use). Fantastic product. Pros: flavorless odorless, great price whats not to love!! Pros: The ability to select the PG/VG ratio is fantastic. The flavorless doesn't distract from any flavored juice I've mixed it with. Final Thoughts: Great stuff. I definitely recommend it. Pros: My husband like the flavorless, and he can pair it with any other flavor. Pros: Excellent quality and great option of quantities. Cons: A little expensive when delivering to Australia, with all the conversions and stuff. Pros: Cannot beat the price and honestly I like vaping this better than any flavor I've found. No harmful artificial flavoring agents. Final Thoughts: Best juice you can vape with. Pros: Shipped quickly, no complaints. Pros: Variety of options between sizes, vg /pg ratios and nicotine levels. Final Thoughts: I am really happy i tried this product. I have never enjoyed all the foo foo flavors and really got tired of wasting my money on over priced e juice that would get shelved after a few ml's.....One night it hit me....I wish they made flavorless ejuice so i googled it. Found positive reviews about this company and product and decided to try it. I am on my second 250 ml bottle and use it as my daily vape juice. Pros: I love this stuff. I've been using the 18 mg flavorless. I add a little menthol or other flavor, just for a hint of flavor. I don't cough nearly as much as I did with the flavored stuff by itself. I think the flavorless is probably healthier. People saying vaping is unhealthy all refer to the flavoring as being unhealthy. This is the way to go. Final Thoughts: Will be back for more.... many times. Pros: Great quality! Crystal clear and doesn't change color at all. Pros: Great, I use it to dilute juice in case I get it too strong and for a little "breather" between flavors. Pros: Good juice! 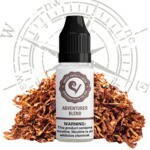 Very smooth vape and a truly exceptional value. I got the 250ml bottle which looks gigantic next to my little 15-30ml bottles. Cons: None - this is a real find for price and quality. Final Thoughts: This 250ml bottle has a nice spout but not the needle dispensers found on smaller bottles. Tip: save your empty 30ml bottles, remove the needle dispenser and fill with this juice. Pros: Smooth, No after taste, Great for vaping just as is. Super Fast Shipping. Best of all CHEAP!! Pros: Great for use in making your own e-liquids to add in the level of nicotine that you want. Great value, excellent quality. Pros: I LOVE no flavor! Since I started vaping, I've had a problem with the flavors, I didn't want to smoke a candy bar, or lemonade, and the tobacco flavors weren't the taste of cigarettes, which was a big problem for me. This no flavor is indeed no flavor, it's wonderful. 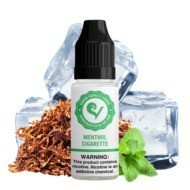 Final Thoughts: I had been looking for a high nicotine no flavor for awhile now, and this company had the best reviews. Definitely going to be a long time customer. Pros: I live on the east coast and received my order in three business days, that's pretty fast from the west coast! I ordered the flavorless juice and I'm very pleased with the product! The price can't be beat! I will be placing another order soon. Pros: Great for watering down flavors. Pros: - Great price for the quantity. - good flavor. Pros: Cheapest source of nicotine, even with the shipping cost to Australia, and seems to be of great quality. Will be buying all my flavourless nicotine from these guys. Pros: i ordered the 50ml bottle and 24mg flavorless juice and its for sure a great product, and im sure i will get more soon at that good price. Pros: Price and shipping. 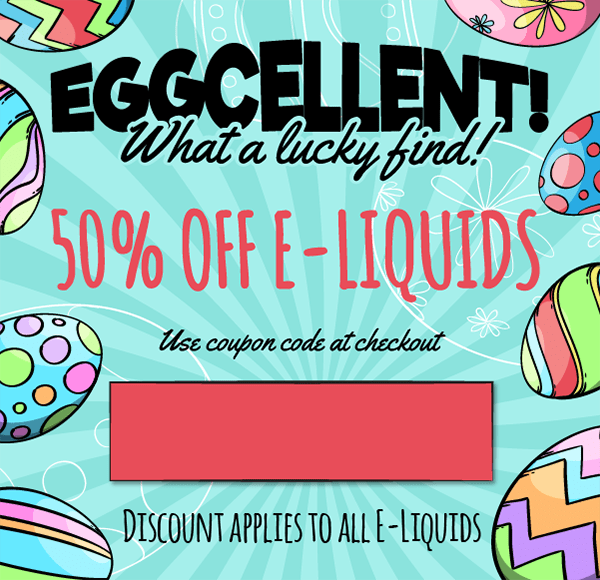 500 ml for less than 30 bucks is what I think an ejuice should be. And it was just a few days shipping to me here in philly. Nice level was right and just what I was looking for. No weird aftertaste or anything. Thanks. 3rd order of this. I am sure this will not be my last order either. Final Thoughts: Cap style options like spout or flat cap would be good. For parents, a childproof cap or something would also be a good standard. Pros: Excellent, very helpful traders. Fast delivery to nz. Happy with product. Will be back. Pros: Exactly as the description describes. 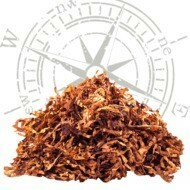 Now what do I mix with it to make tobacco Master Piece????????????? Pros: I have ordered this flavorless E Juice twice now, and I love it! Cons: I am updating my review to let people know NOT to purchase from here. They happily took my money and then sent me the wrong order. You would think that would be something easy for them to fix but no, they're offering a small coupon off my next order instead of fixing it. Final Thoughts: Order from anywhere else. You've been warned. Pros: Great flavorless juice! I have been looking for this and for a great price! This is it! Pros: I loved how fast it shipped/arrived. The flavor has a slight taste to it, but it's nothing to worry about. I personally am very picky with my flavors, and I think this is the best way to go. I don't have to worry about picking a flavor again. And if I ever decide to get a flavor, this would be the best way to dilute the strong taste. I love it. Pros: It has a very mild taste on its own. Final Thoughts: Have been using it on its own without mixing in any flavor. It has a very mild taste which is almost unnoticeable. Great for people that want something neutral. Pros: Great product. Got exactly what I was expecting. Flavorless and does not leave you with cotton mouth like some other flavorless I have tried. Pros: Great juice to mix with your favorite flavor. Pros: Easy to mix with flavoring, and fast service from the suppliers! 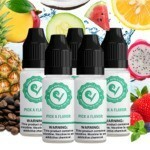 Pros: Awesome price for my50/50 [email protected] 12mgs Not a bitter or peppery nic taste I've found in other flavorless products.This has so many uses from DIY to adding some punch to too mild tasting flavors purchased.Good for vapors tongue too! Final Thoughts: Buy the bigger bottle! Pros: no flavor at all to affect blending, I got 100% PG to cut down on vapor and up my throat hit on some lighter nics I had gotten earlier. The service from Vapor Vapes is the BEST I've had anywhere - keep up the good work! Pros: Wonderfully tasteless! Great Price and great service. Pros: 100% VG nic juice - good product at a good price. Fast delivery. Thank you, VaporVapes. Pros: Really good price for the quantity. Should work well for what i want. Pros: Fast and excellent service and delivery. A very Excellent product. Works great and has me set for a while. Pros: Works great. Got here quick. Faster than the order I placed from a different site at the same rate. Thanks for taking time to help me figure out what to buy.